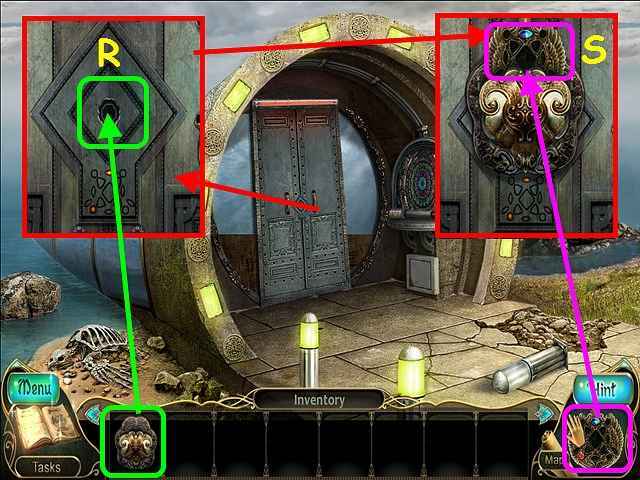 Look at the door and place the CONTROLLER FOR THE AMULET OF THE ELEMENTS on the lock (R). Place the AMULET from your menu bar into the controller (S). Note the diving helmet (C). Walk down 4 times, walk to the clock tower, go to the back of the tower, and then walk forward. 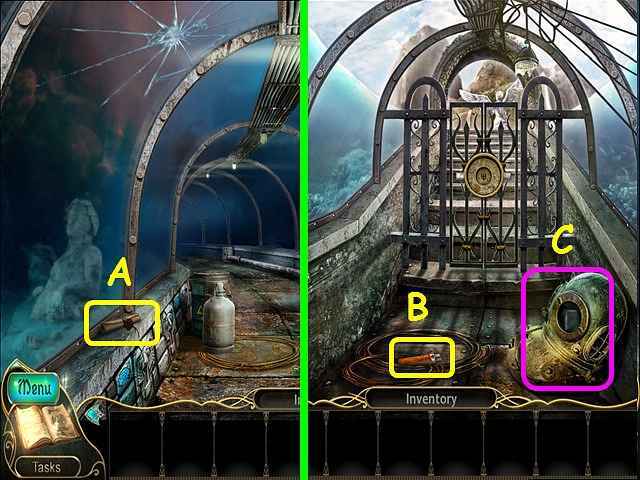 Look at the trolley and use the LOCK PICK on the lock (D). Take the VALVE and the LION CARVING FRAGMENT (E). 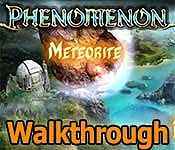 Walk down 3 times, go towards the underwater tunnel, and then enter the tunnel.